Early in Roseanna’s training with Waldo, Roseanna’s P-51A is jumped by a flight of Wildcats off the California coast. The stubby little fighter was the mainstay of American carrier aviation during the early years of the war. 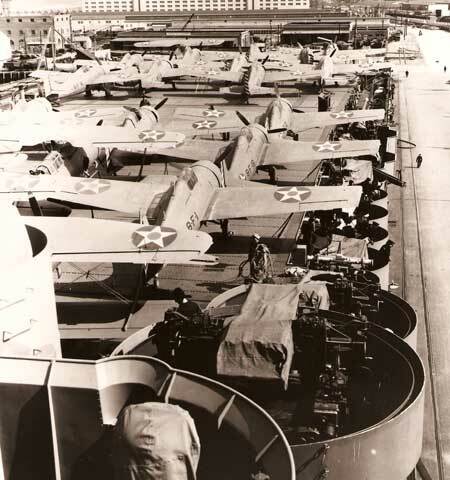 These Wildcats are seen lined up aboard the U.S.S. Hornet prior to the ship’s departure from Norfolk in February 1942. Shortly it would be headed for the West Coast where it would pick up Jimmy Doolittle’s 16 B-25 Tokyo-bound raiders.